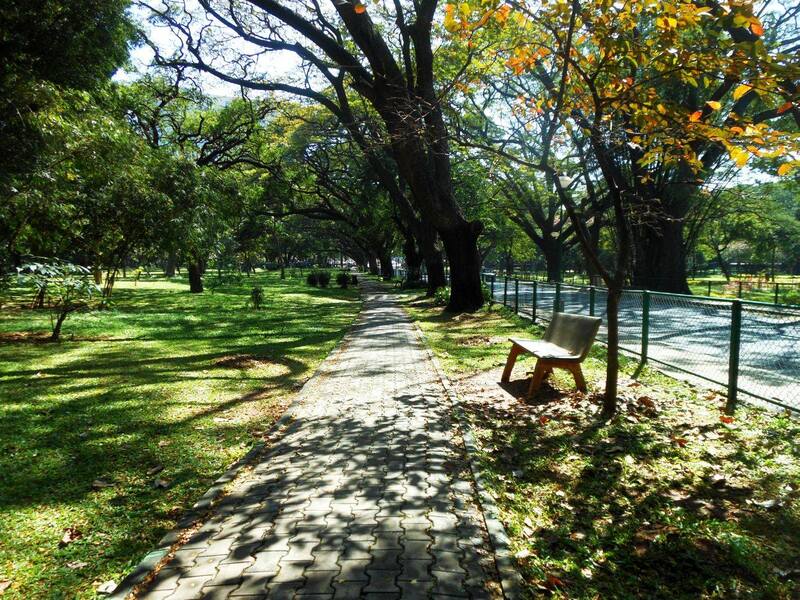 Nearly 300 acres of beautiful green space, right in the heart of the city, founded in 1870. Has huge biodiversity, with hundreds of species, many brought in from all over the world. The park is closed to vehicles on Sundays, and many people come for jogging, marathons and picnics. A great place for a nice long walk, and picnics under the trees. 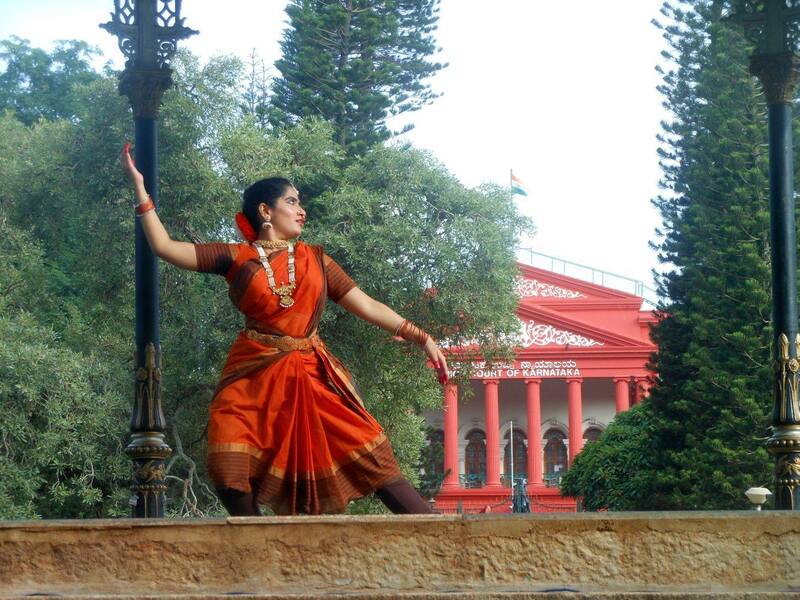 On Sundays the park is closed to traffic, and there are music/dance performances at the Band Stand inside. Between 7.30 - 9 in the morning, and 5.30 - 7 in the evenings. 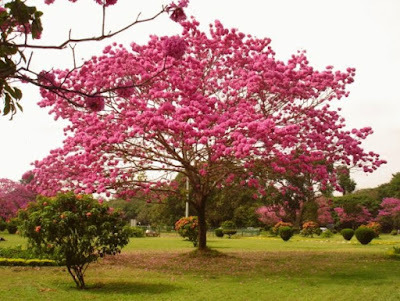 The Horticulture dept also sells fresh vegetables and fruits, and there is a dog park where people bring their pet dogs. If you happen to come here in November, you are in for a feast. The Tabebuia Impetignosa blooms in brilliant bunches of pink in front of the Central Library inside the park, a huge circle of trees that lose all their leaves in October. They last just about three weeks, by the last weekend of November they fall. 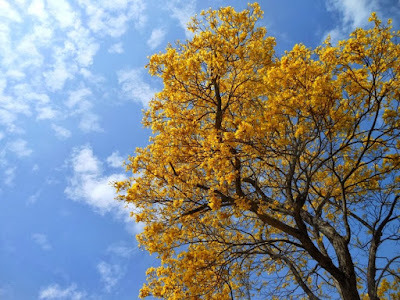 If you happen to come in February, you are in time for the Tabebuia Aurea that blooms all over Bangalore. They bloom in some parts of the park too. Parking: On all other days other than Sunday, you can enter from the UB City gate and park at the red Central Library inside the park. You could also just park at the UB City mall parking, and cross the road into the park. 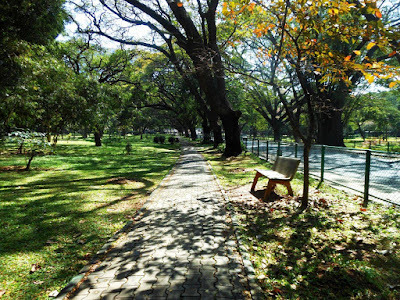 On Sundays the park is closed to vehicles, so you will need to enter from the MG Road entrance, turn right and park along the road behind the High Court. Facilities: There are two clean toilet facilities inside the park, and there is a Konark restaurant in the Kanteerva Stadium right opposite the UB City entrance. UB City, the mall, has a food court, which opens around 10.30.